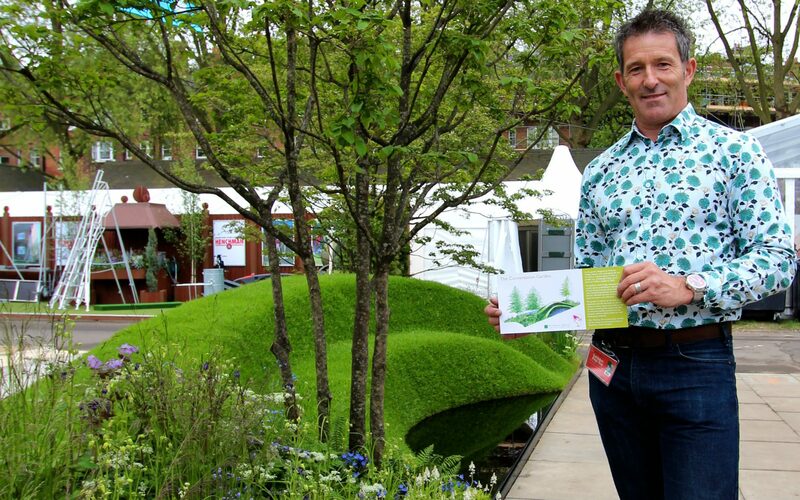 RHS Chelsea Flower Show 2013. ‘The 9 Billion Conversation Garden’ for Wilmott Whyte in Association with Business in the Community. Gold Award. The 9 Billion Conversation Garden represents the “lifelong conversation between business and communities regarding sustainability”, including a grass amphitheatre representing the gathering of society, and three multi-stemmed trees symbolising business, community and the individual. Two pools invite social interaction and reflection. Inspired by land art, the garden is also intended to show that innovative design doesn’t have to rely on hard landscaping, and can fit in small and urban garden spaces. Designed by Ruth Wilmott and Frederick Whyte, Built by Cube 1994.